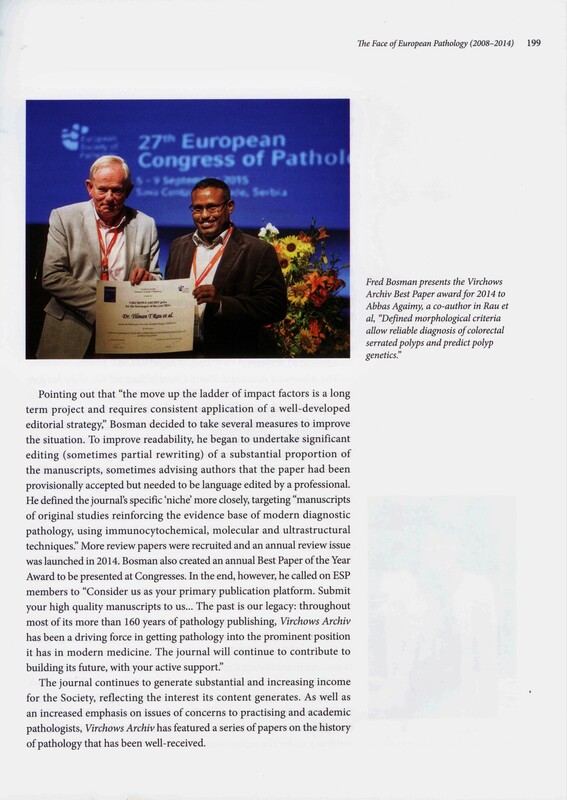 The European Society of Pathology (ESP) was created in 1964 by a small group of eminent practitioners, notably the Belgian Pierre Dustin and the Italian Alfonso Giordano. 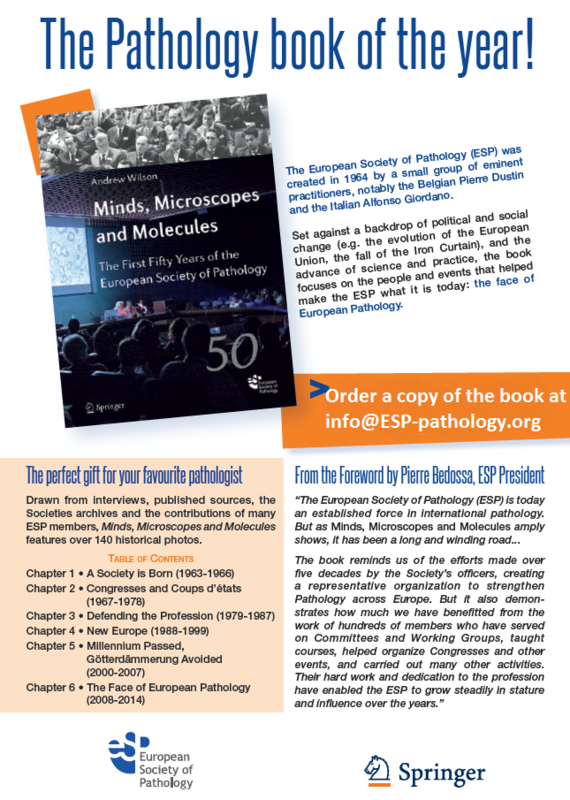 Minds, Microscopes and Molecules: The First Fifty Years of the European Society of Pathology follows the ESP’s evolution from a ‘friendship group’—whose finances were kept in a shoebox—to a professional organization with headquarters in Brussels, a respected journal (Virchows Archiv), and educational activities reaching hundreds of pathologists each year. Set against a backdrop of political and social change (e.g. 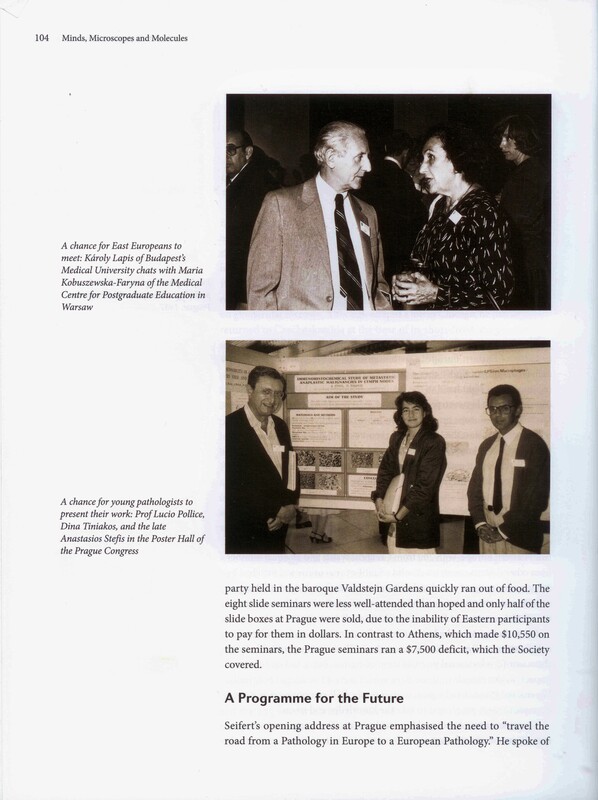 the evolution of the European Union, the fall of the Iron Curtain), and the advance of science and practice, the book focuses on the people and events that helped make the ESP what it is today: the face of European Pathology. The perfect gift for your favourite pathologist! 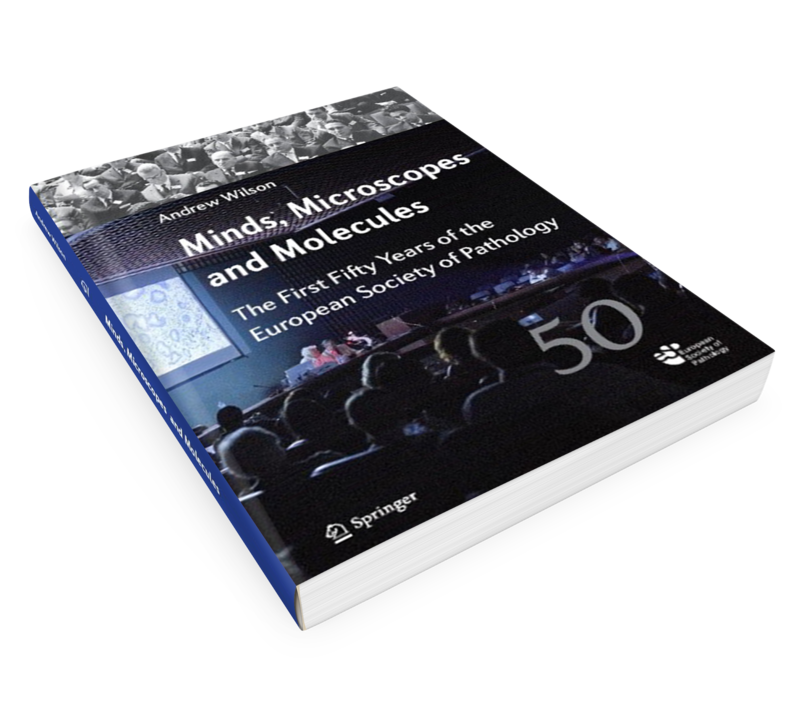 Minds, Microscopes and Molecules features over 140 historical photos, and was drawn from interviews, published sources, the Societies’ archives and the contributions of many ESP members. It is published by Springer. In the interests of readability, and because of the sheer volume of documentation, this book has foregone the use of detailed footnoting or referencing. A fully referenced electronic copy of the text is available at the ESP headquarters in Brussels. The Brussels office is the current repository of the Society’s archive, and most of the physical documents cited in this book can be consulted there.